I was getting ready to host my first team building weekend for my Network Marketing team. We weren't a huge team and only 2 of my team's members were going to be able to make it. My focus of the team building weekend was not going to be about the business. I wanted to build relationships with these women and lift them up to realize their potential. 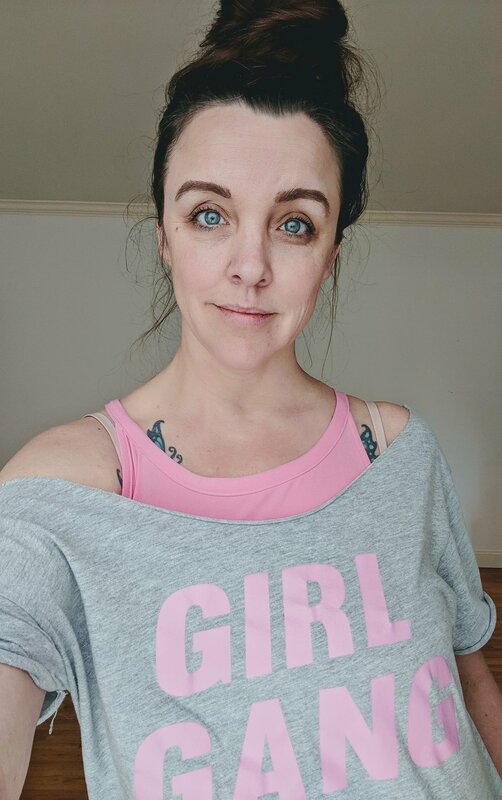 So, I decided to have some t-shirts made that simply said, GIRL GANG! You can see me wearing that shirt over there to the right, if you're on the computer, scroll down to see it on your phone. I spent the following year developing my own self love. Learning to put me first and to trust my gut. A lot of healing took place during that time and I found that I was sharing my experience with, well, anyone that would listen. Then, a few months ago, I was talking with my mentor and she said to me, if you could do whatever your heart desired, what would that be. My immediate answer was, "help to heal women and show them how to love themselves".....it just came right on out, like I had been planning for it my whole life. Here we are, 2 months later, and I am doing it because I know it is my calling. I am stepping into my truth and I can not wait to help others to do the same!